Weather models have continued to come into agreement over the last 24 hours on the storm system that will impact the Mid-South tonight. Unfortunately, ingredients are coming into place that favor the development of organized and possibly significant severe weather. Currently, a warm front is surging north and will move across the metro area late this afternoon. As this happens, strong southerly winds and rapid temperature rises to near 70 degrees are expected. Additionally, dewpoint temperatures will climb above 60 degrees as well, leading to an increasingly unstable and volatile airmass for the area. As this occurs, a powerful upper level disturbance and surface low pressure area will begin to lift out of the Central Plains, passing just northwest of the area this evening through Missouri. The strong dynamics of this system will help to overspread significant wind energy and wind shear across the Mid-South. In response to the expected combination of increasing moisture, wind energy, instability, and with a cold front moving in from the west, thunderstorms are expected to rapidly develop and intensify over Arkansas late this afternoon into the early evening then spread east across the metro. At first, thunderstorms that develop will be individual cells, or supercells, but will eventually organize into a large, robust squall line during the evening hours. The most likely time for severe weather in the metro will between 6PM and midnight. The threat of supercell thunderstorms with tornadoes, large hail, and strong wind will occur throughout the evening. The squall line that could produce widespread damaging wind gusts will move through the metro between 10pm and midnight. Severe weather timing/impact graphic from the NWS Memphis office. With most if not all severe weather expected to occur after dark, it is of even more importance that area residents are aware and prepared to take action in the event of severe weather tonight. Know what you would do and where you would go if a Severe Thunderstorm or Tornado Warning is issued during the affected time period. Do not go outside to try and "find" the tornado if a warning is issued. It will be dark and storms will be moving at up to 50 mph! Take cover immediately. 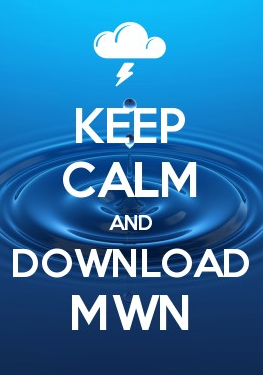 Please consult our MWN Safety Tips page for more information on actions you can take. MWN will be in “wall-to-wall” nowcasting mode tonight on our social media feeds (linked below) and will keep you updated throughout the event. Stay safe and be weather aware! For weather information for Memphis and the Mid-South, where and when you need it, visit MemphisWeather.net on the web, m.memphisweather.net on your mobile phone, download our Android apps, and visit us on Facebook or Twitter.